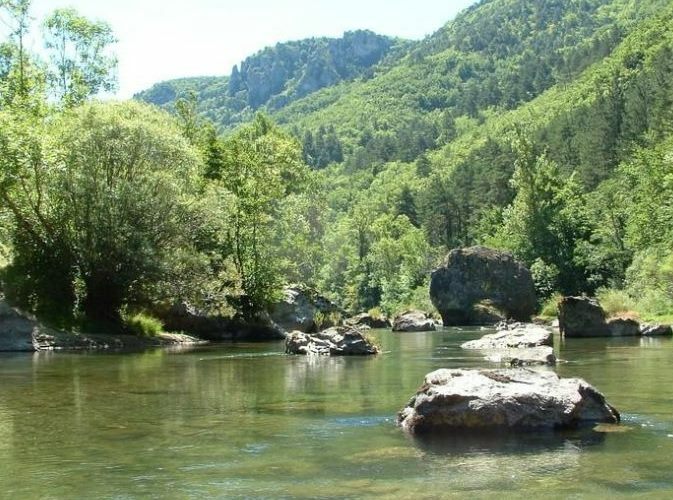 Getting there: The Cévennes, a part of the Massif Central, are easy to get to by car or high speed train (TGV to Millau). Nearest airport - we think - is Montpellier. 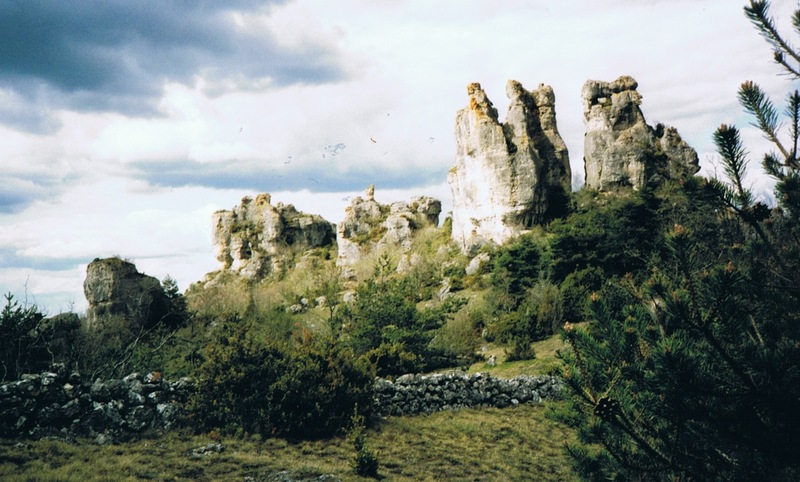 We walked the fields in the Causses, the uplands, as well as the Jonte-, Dourbie- and Tarn canyons. Going down, go up, going down, etc. : heavy climbs and heavy descends. 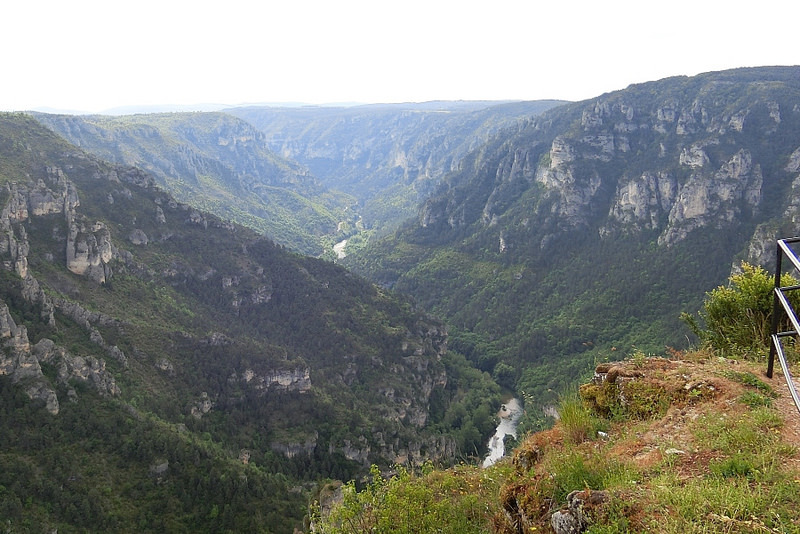 The gorge du Tarn is about 500 m. deep. Classified since 2010 World Heritage of the UNESCO. Maps: They offer you good maps in the region. We bought: IGN 2641OT and 2640OT. Scale: 1:25.000. 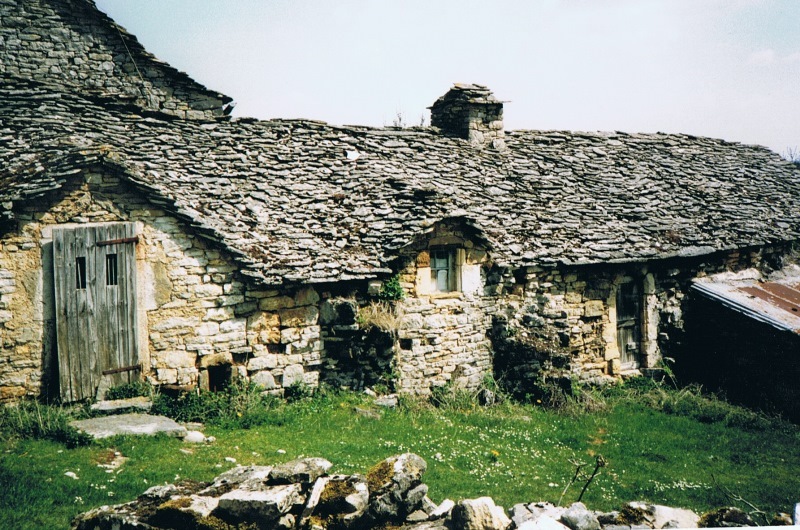 Accommodation: Plenty: hotels, pensions, Gîtes d’étappe, chambre d’hôtes , Gîtes ruraux, at the farm, at a castle, whatever you want, depending on your purse……..
Easter 2003: an (almost) round walk in a spectacular mountainous area . A wonderful variety of scenery and habitats: ideal for the walker! Distance between the stage cities: 13-20 km. 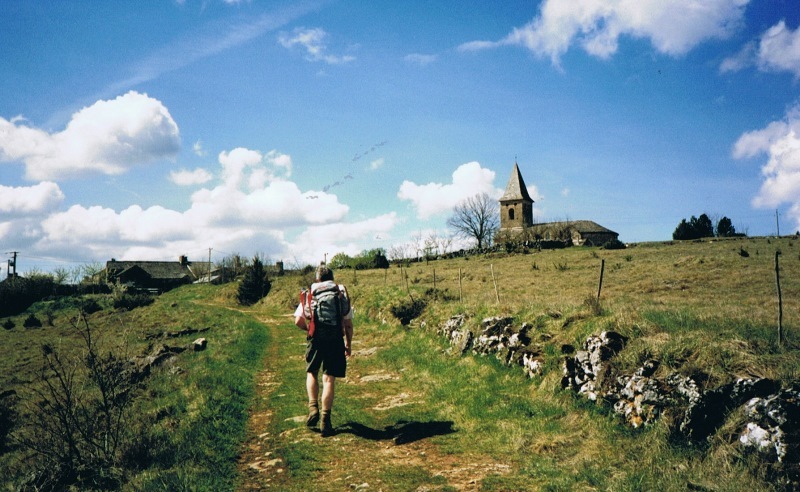 Day 2: St. Georges de L.- Le Rozier......................20 km. Day 3: Le Rozier - La Viale.....................................12 km. Day 4: La Viale - Veyreau.......................................16 km. Day 6: La Roque Ste. 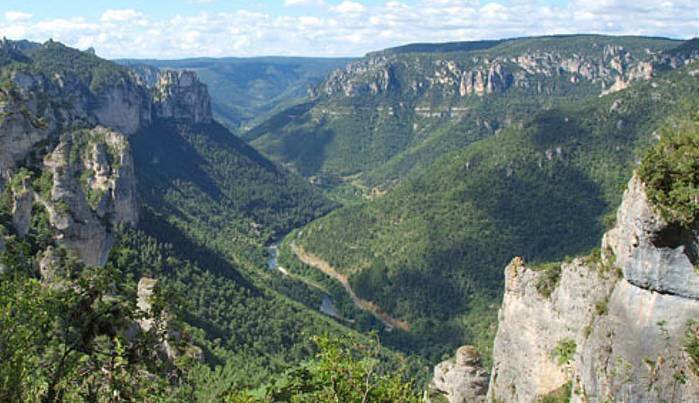 Marguerite - Millau............15 km. 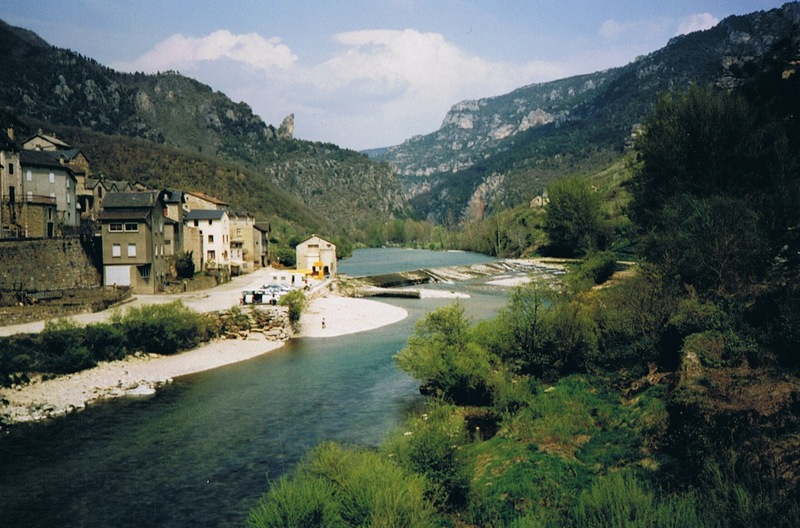 On trail: The rivers winds their ways from village to village, along the high limestone cliffs of the Gorges. 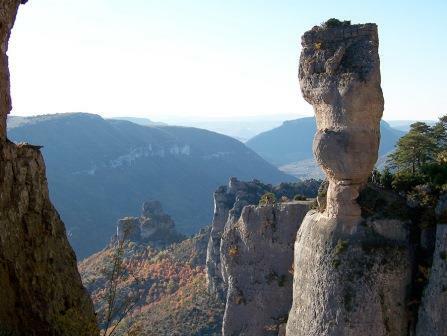 Point Sublime near St Georges de Levejac, breathtaking views. Karst-scenery and pretty temperatures. Rocher de Capluc. 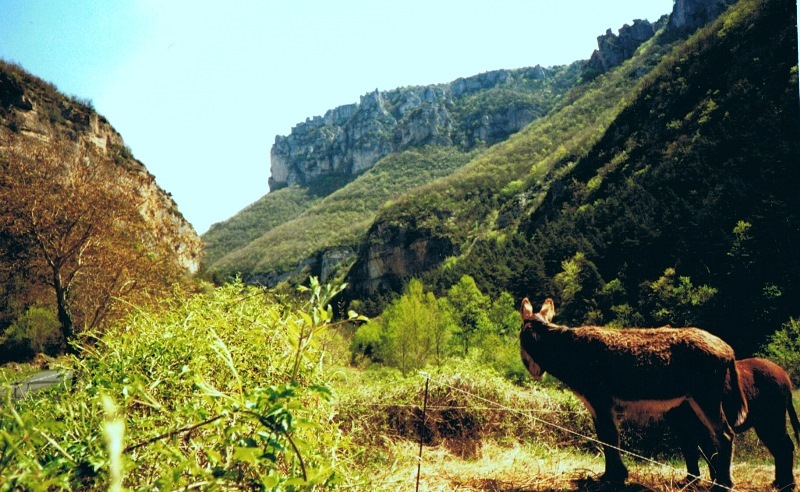 Follow the vertical metal ladders to the Rocher de Capluc, from where an outstanding panorama of the Tarn and Jonte stretches. "Les vases”, shaped by weather and wind. The eagles on top of the rocks. Buzzards, kites and sparrows hover high in the air all year round and with some luck you can find badgers, ermines and wild boars. From the 10th century, after the invasion of the West Goths and then the Moors, the Cevennes came under the management of monastic orders (Benedictines, Cistercians) that built many abbeys and cut down large parcels of beech forests to plant chestnuts ( Breadtrees). At the end of day 6 view on the bridge of Millau, imposing, even for a walker. Below a cinematic impression of The Gorges du Tarn en de la Jonte.